« STEMI management is Indeed funny ! Ignorance based cardiology : I guess this question will bother you . . . 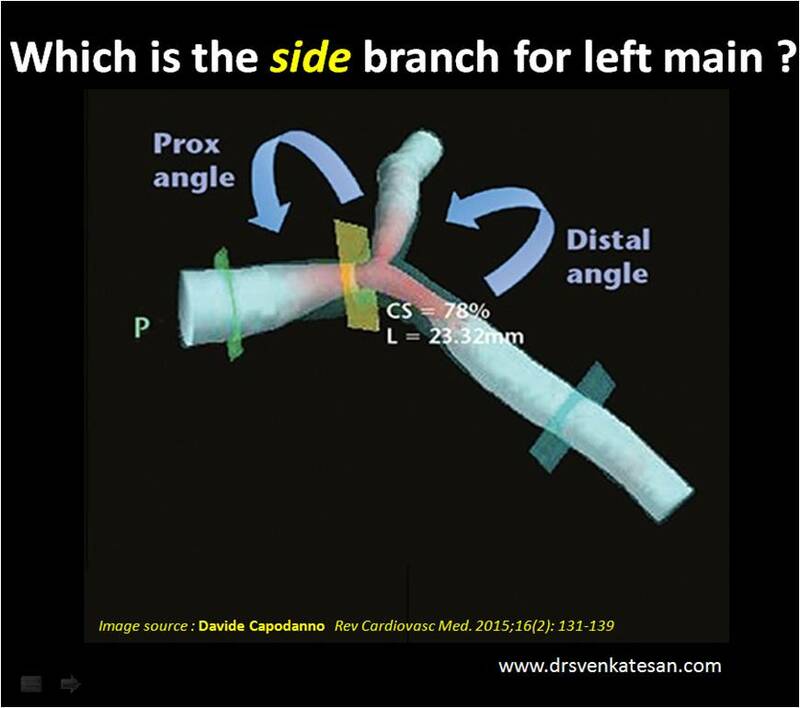 Which is the side branch for Left main ? Bifurcation angioplasty is a newly conquered(Or not yet !) target for Interventional cardiologists.We have come a long way in planning interventions for left main with state of the art hardware, expertise and image assistance .However , every classification , approach, strategy for BFL talks about tackling the main and side branches meticulously. Still . . . one question is not answered clearly is . . .
*It all depends upon the Indication and Individual arterial ischemic burden. In ACS, if LAD territory is infarcted and beyond 24 hours.LAD becomes a side kick to the vital LCX which supplies the remaining life sustaining myocardium which includes the critical basal segments. Since , the risks involved in the interventions of left main and its bifurcation is inherently linked with , what exactly we mean (and do ! ) to the side branch .Its mandatory we spare few intellectual moments before our hands invade the coronary battle zone.